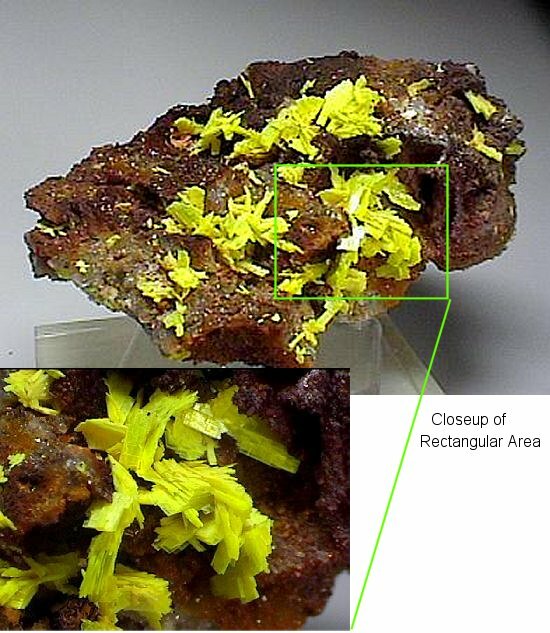 Comments: Gossanous matrix hosting abundant crystals of bright canary yellow saléeite to 1.2 cm across. Location: Ranger Mine, Northern Territories, Australia. Scale: 9 x 5.5 cm.